One summer in the early 80s, before I entered college, I attended a brief seminar about ASCAP and BMI, the two main performance rights agencies in the United States. I concluded that I would be better served by ASCAP, since BMI seemed more radio-oriented (and I was planning a long career writing Marching and Concert Band music (ha!)). As time passed, ASCAP still seemed more my thing, but I didn’t control enough album tracks to qualify (my work for Apogee and 3D Realms was Work For Hire). Things changed with the publication of my debut solo album, Calibrations, back on March 30th of this year. I had control over enough tracks to qualify for membership. Additionally, my publisher, CD Baby, offered a deal where they would do all of the ASCAP paperwork for you for an extra $20. I pounced on that deal like a cat on a fish filet. A couple of months went by with no response. I checked with CD Baby and found out that the delay was not unusual – all part of the process, they said. I stared at the e-mail on the screen for several minutes before printing it out and staring at the piece of paper for several minutes more. At long last, I was a member! I could finally sign my full name as Dennis Lee Jackson, ASCAP. Then my wife dropped a block of concrete on top of my head. I told her they collect performance royalties. Ouch. This was a valid question, because there aren’t a lot of radio stations that play video game music. Maybe some streaming ones, but how many of those are registered with ASCAP/BMI? 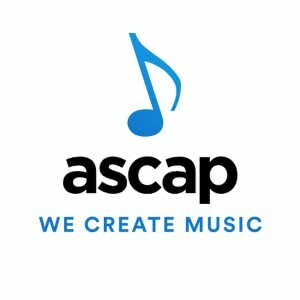 To make matters worse, the registration of each song in ASCAP’s database requires that it be registered with the United States Copyright Office, apparently separately. I can register the album as a collection, but ASCAP needs the songs themselves registered. The cost per song for copyright registration? Fifty-five dollars. For the twelve music tracks on Calibrations, that’s $660. I haven’t even made this much from the combined sales of the special edition, the regular edition, the MP3 edition, and streaming editions to date. I may have to host a GoFundMe just to get the copyrights registered. Money is tight now, and with my wife about to retire soon, it’s going to get that much tighter. I will at least register “Spicewood,” since I plan to enter it into the Grammys this year as a New Age song. So, now I am Dennis Lee Jackson, ASCAP. Will I ever be able to use that title for something that makes money? Only time will tell.